You think that the only way to do a perfect nail design is a nail brush?! Well.that's not true!!!! 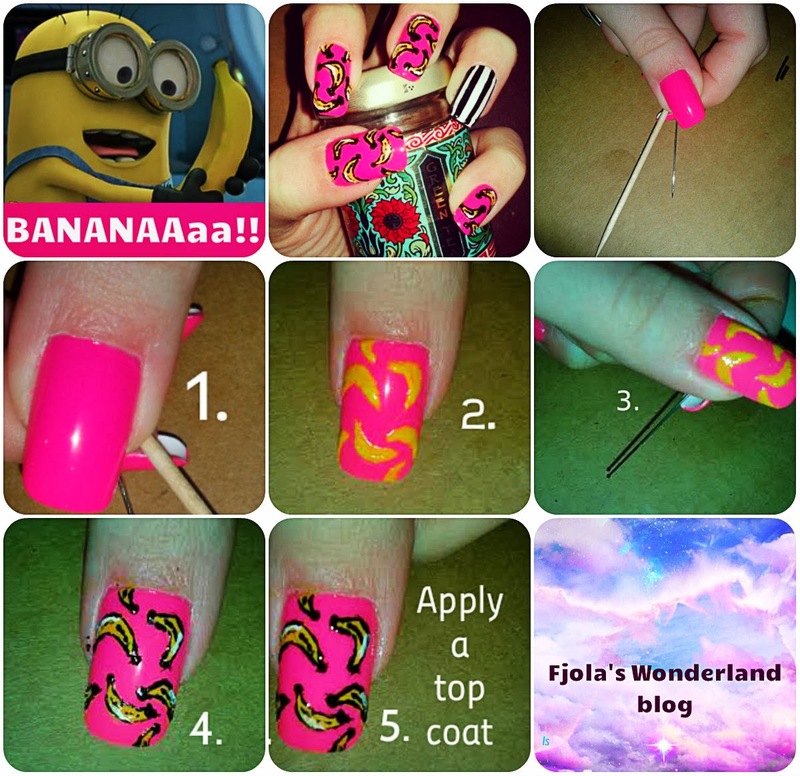 In this nail tutorial I'm gonnashow you how you can create a banana nail art design only with a toothpick and with the help of a pin!!! An Easy and Cheap way to havefashionable and arty nails too!!! First apply a base coat, let it dry for a bit. Then apply the pink nail polish once or twice ,if you need it. With a toothpick take a little bit of the yellow nail polish .To achieve the banana shape ,make with the toothpick draw a half moon. After you're with this step do some black dots on the corners of the half moon first. Take the pin and with the black polish start drawing lines upon the edges of the half moon .To create the perfect banana shape in the middle of your design, dra a smallblack line and upon it or parallela thin white line.And you're done!!! !